I am preparing to re-open an investigation into something I looked at last year, namely, the invocation of continuity of Government (COG). COG, among other things works by denying all travel, in or out, from a metropolitan area. I live 20 miles outside of suburban Phoenix in the rural desert, my neighbors are seeing clear and unmistakable signs of two staging areas that will be used to enforce COG protocols. Because we have new evidence, and the context of America’s present situation is changing, the readers should expect a follow-up story on this issue in the near future as we getting new evidence (eg pictures) by the day, The Common Sense Show reports. 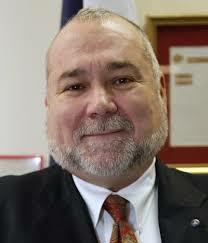 Robert David Steele, ex-CIA case officer. The American Spring is almost upon us. according to Steele. In a related observation, Robert David Steele, ex-CIA case officer, stated very clearly on my most recent radio show that an American Spring is coming and it is coming quickly unless President Trump can take some definitive steps to head this off and there is absolutely no indication that Trump is going to launch an internal purge of the Deep State that would be necessary to rid the government of a significant portion of the entrenched traitors left behind by 24 years of anti-American leadership. I never dreamed that under President Trump, I would once again be compelled to discuss FEMA camps. Under Trump, we are seeing clear signs that the number of FEMA camps and operational readiness of some of these camps is increasing exponentially and this is totally outside of Trump’s control. No, FEMA camps are not being promoted by President Trump, they are being readied right under his nose. In the past 96 hours, I have been approached by two talk show hosts that are getting the same information that I am, from different sources, in that a major action against the people is planned under the cover of what Robert David Steele is calling The American Spring. One of the talk show hosts, very prominent, and myself are collaborating on a joint report on the topic and the release is only a couple of days away. In anticipation of the release of this report, I thought it prudent to warn parents about a danger that I have discussed before on many talk shows as well as in the print media. The topic has to do with how the authorities, still controlled by forces that we would label the Deep State, would be used to lure in parents after their children were taken from their respective schools. There is bus that parents should never allow their children to board. It is a bus that could endanger every child and potentially their parents, should the children every board this bus. The bus I am referring to is a bus that could be used to entrap children and their parents. It is a bus in which the children are used as leverage as the parents are lured into a secure facility. Please read on. 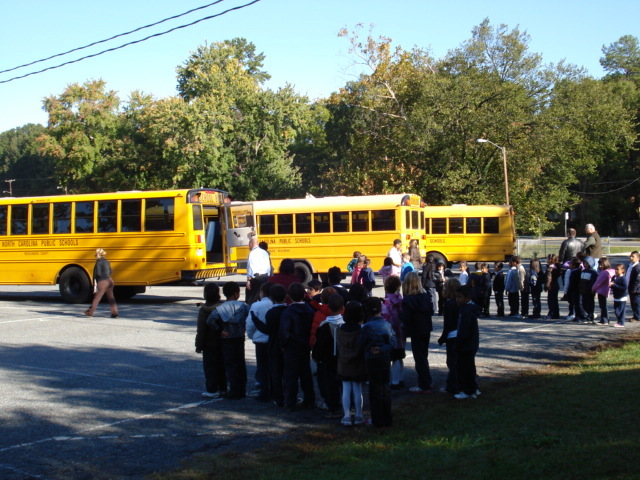 In a theme repeated over and over across America, your child is forced by government regulation, that allows your school to put your child on board a school bus, in a mock disaster drill. Sometimes, the school bus will exit school grounds drive a short distance and return to the school and the children exist and return to class. Sometimes, the children merely board the bus, listen to a lecture about school safety and then return to class. On the surface, these bus evacuation drills appear to be a necessary and proper means to get our children to practice against a potential disaster. That is what I thought until September 23, 2011 and FEMA introduced a drill and a civilian “defense” strategy called Operation Mountain Guardian. At your children’s school, you cannot even have your child’s aunt pick them up unless she is registered with the school and shows identification. However, these rules do not apply to various governmental agencies because they feel that they own your children. On September 23, 2011, children, without warning, were abducted from their Denver Public Schools, without the permission of their parents, by FEMA and taken to the Colorado Sports Authority football stadium. This set a precedent that FEMA can literally kidnap children from their schools without parental permission or notification. This is outrageous. As a part of the drill, several busloads of school children were taken to Sports Authority Field along with their teachers. Surrogate parents were hired by FEMA to attempt to pick up their children at the stadium. The training was apparently a desensitization exercise for security personnel designed to refuse demands to pick up their children from these “pretend” parents. The real parents of these children were not properly notified that their children would be transported to the stadium and would be a part of this disaster drill. Speaking of Denver International Airport, explain the meaning of the above depiction which was displayed for years near airport baggage. 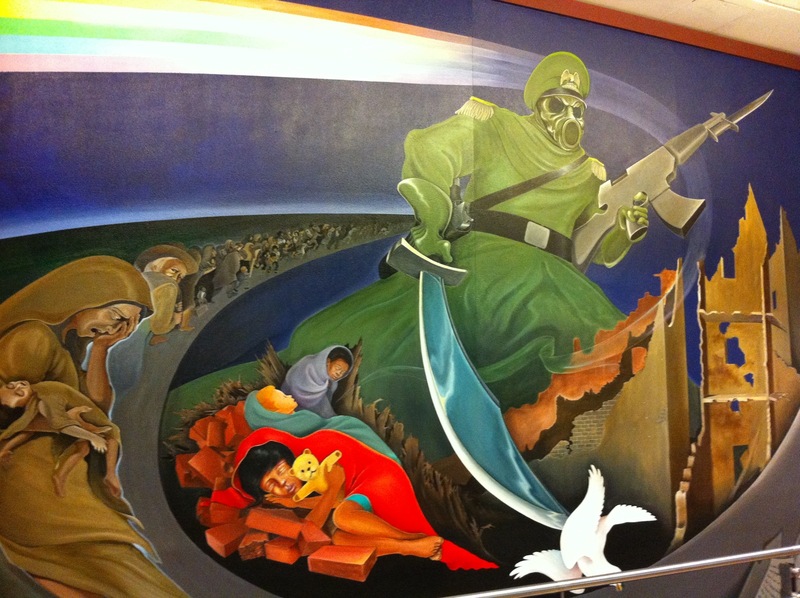 During Operation Mountain Guardian, the elite were flown into Denver International Airport from which they disappeared, presumably underground, for the three days that the drill lasted. Meanwhile, on the surface, children were being abducted from their classrooms by government officials from FEMA. In the following report, Aaron Dykes reported on Operation Mountain Guardian and the abduction of children from their classrooms without their parents permission. Where I live in rural Arizona, my neighbors are seeing clear signs of a COG force designed to shut down entry and exit from and to Phoenix. Clear evidence exists that an American Spring is in the works. Parts of the Federal government, outside of the control of this present administration, will do what they need to do purge themselves of the growing populist movement threat. This means FEMA camp incarcerations during an extreme American Spring. In the coming days, many readers will be exposed to what is coming from several sources. To recap,n the last 96 hours, I have had this discussion with three sources which included a former CIA case officer, Robert David Steele. FEMA, for example, has demonstrated, through a major drill that they are willing to take children as a way to lure in parents. Once baited, the “naughty listed” parents can be detained and dealt with in a manner described by Obama supporter Bill Ayers as he told the late and former FBI spccial informant, Larry Grathwohl. Remember? He spoke of incarcerating 50 million Americans in re-education camps in the Southwest and doing away with (ie murder) over 25 million. America, educate your children. Do not allow them to be used as bait to compromise your potential security. A more detailed report is included in the following video.